Note: The following is an unsolicited perspective from a first time dad. He writes of his own initiative. He and his wife have asked for total privacy for their birth photos, so I can’t show you their beautiful images of meeting their son, but they have allowed me to share with you these where their faces are not identifiable. As always I honour whatever privacy settings a couple chooses. So just because a man chooses to have his child’s birth photographed, doesn’t mean those photos have to be online. 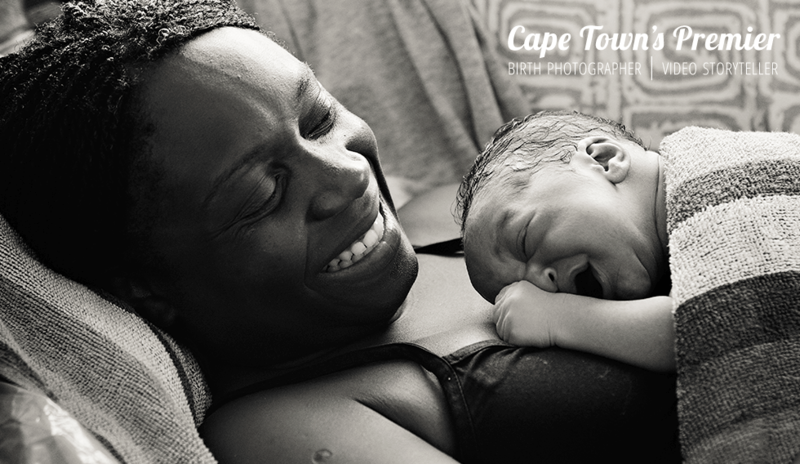 When my wife told me that she was thinking about hiring a birth photographer to record the birth of our first baby, I was at first shocked, and then after the idea started to sink in, rather apprehensive. The shock part: certainly for me, and I imagine for many men, the prospect of the birth process is fairly daunting. Sure it is a momentous occasion, which will without a doubt be celebrated, but the thought of having every detail indelibly captured in photos and video is not something many of us have ever heard about, much less considered for ourselves. So yes, shock! 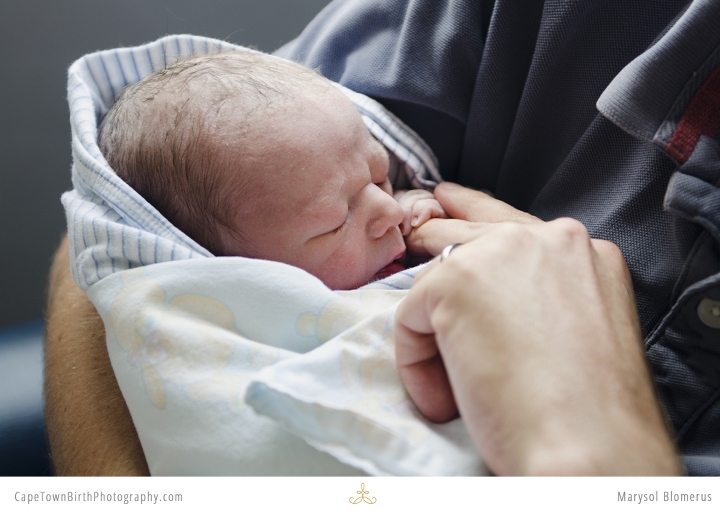 The apprehension part: when the shock wore off, I was thinking about what it would be like in the birthing room, especially as a first time father. There were enough unknowns and apprehensions about the actual birth, and what my role would be: would it be scary, would it be calm, would I feel awkward? There was enough to think about, never mind having some stranger walking around capturing what already may be an awkward and maybe gory experience. I also thought about being on display, and this whole thing becoming a photo shoot. At our wedding I was uncomfortable enough with the photographer constantly clicking away, and there we were all dolled up! So if there was apprehension around wedding photos, how much more so at such an intimate, emotional occasion. This all went through my head prior to the delivery date but I agreed to let Marysol come because it was important to my wife and she convinced me that it was something that we would be grateful for in years to come. The day came that my wife went into labour and that in itself is fairly all consuming. It was a waiting game until she finally decided that it was time to get to the hospital. Contrary to the motor racing event we all envisage, there is no real hurry and things happen fairly sedately. It was at this point that I met Marysol (I had been unable to meet her prior to the birth). And so meeting her there for the first time, you would expect should be a tense meeting with all the apprehension welling up again, but almost immediately I felt comfortable. She is such a warm and friendly person and immediately I felt like I trusted her. For the next couple of hours Marysol was extremely helpful, understanding, unobtrusive and intuitive. She was also professional while being all those things. At no point did I feel remotely uncomfortable like I expected I might. She may just as well have been another nurse helping with the birth (which she did at certain stages during the delivery, using her reflector to fan my wife, bringing us water etc). The last apprehension I had was whether I actually wanted to relive what might be gory details of our child’s birth in pictures. But when we looked through the final result, it was in no way gross or lewd but rather the pictures portray this incredible event in a calm, wonderful and almost surreal way. My wife and I put off going through the photos for a couple of weeks before we finally worked up the courage to view the pictures- birth is quite a raw thing. But there was nothing to be scared of. The images are stunning, tasteful, discreet and something we are very glad to have. And watching the slideshow now, months later, makes us so grateful to have had Marysol there. We cannot recommend her highly enough.